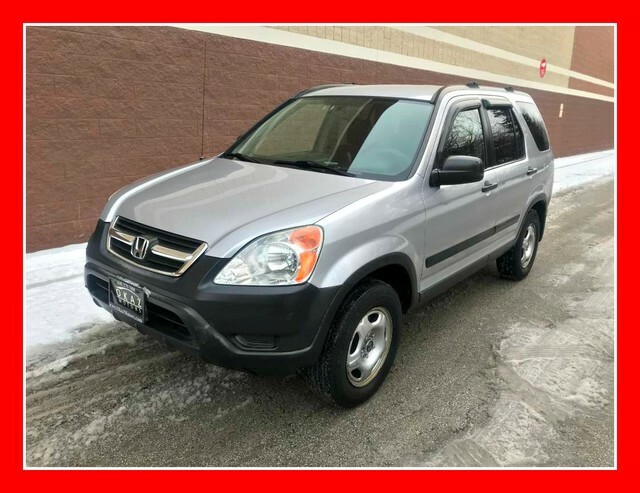 Okaz Motors has a wide selection of exceptional pre-owned vehicles to choose from, including this 2002 Honda CR-V. When you purchase a vehicle with the CARFAX Buyback Guarantee, you're getting what you paid for. The CARFAX report for this 2002 Honda CR-V LX highlights that it's a One-Owner vehicle, and for good reason. A One-Owner vehicle gives you the feel of owning a new vehicle without paying the new car price. The Honda CR-V is the benchmark all other SUVs strive to meet. With exceptional power, towing and handling, this SUV can handle anything thrown at it. Tackle any terrain with this 4WD Honda CR-V LX. Off the road or on the parkway, you'll drive with confidence no matter the weather conditions or landscape. The CR-V LX is well maintained and has just 96,000mi. This low amount of miles makes this vehicle incomparable to the competition. Know exactly what you're getting when you take home this Honda CR-V as past service records are included. This Honda CR-V LX is in great condition both inside and out. No abnormal wear and tear.